21-inch wide art print inspired by Star Wars: The Last Jedi. Hand-numbered limited edition of only 95 pieces! Signed by artist Cliff Cramp! This astonishing artwork inspired by Star Wars: The Last Jedi is a 21-inch wide x 14-inch tall canvas presenting artist Cliff Cramp's Local Residents. 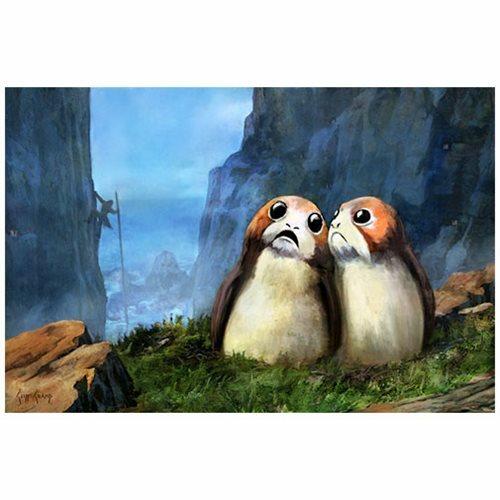 The Star Wars Local Residents by Cliff Cramp Canvas Giclee Print is an unframed limited edition of just 95 hand-numbered pieces! Signed by Cliff Cramp, it comes with a certificate of authenticity.